Visit Tara Golf & Country Club and take an appreciative look at a real estate development that has not only weathered the past economic debacles but also managed to improve its services and amenities. Situated on a 1,100-acre property in Bradenton, Florida, the country club has undertaken a $7.5 million renovation program in 2009, in stark contrast with the scaled-down operations experienced in recent years by similar golf-based communities in the US. This illustrates very clearly how well-managed Tara has become since its development more than twenty years ago. Much of the credit goes to the members of the country club themselves to whom management was turned over to by the property developer in 1997. One of the highlights in the multi-million-dollar renovation in Tara was the restoration of its clubhouse to its Southern plantation style and ambience, and the enhancement of kitchen facilities. These certainly have resulted in a tremendous upgrading of members’ privileges at Scarlett’s Restaurant, the clubhouse venue for casual and formal dining, as well as other social occasions. Positive impact was also rendered to the other club amenities and facilities. These included enhanced member privileges at The Grille Room, the two lighted tennis courts, modern fitness center, sauna, and pro shop. Further member benefits are enjoyed at the clubhouse patio and multi-purpose rooms that can accommodate meetings, private gatherings, and card games. Literally across the street you will encounter The Preserve Golf Club at Tara, This is a separate golf club that should not to be confused with Tara Golf and Country Club. The Preserve Golf Club 18 hole course is a Ted McAnlis signature championship golf course featuring Champion Ultra Dwarf Greens and Bermuda grass. This is a par 72 course measuring a net 7000 yards from the Eagle tee box and 6005 yards from the Heron. The course rating is 74.0 with a challenging slope rating of 141. The Preserve golf course opened in 2001 and was designed by Ted McAnlis. The preserve at Tara golf course offers an aqua driving range with target island greens that add a certain level of entertainment while practicing your swing. There is also a large chipping area and putting green to complete the practice facility at the Preserve Golf Club. Homes for sale in the Preserve community are similar to those found at the Tara Golf and Country Club community. A link to all Tara homes for sale is provided below. The Tara golf course is another beneficiary to the renovation plans recently undertaken withing the country club. This 18-hole, par 72 layout was originally designed by golf course guru Ted McAnlis. He converted a 120-acre expanse at the Drewrys Bluff of the Tara property into pristine links considered as among Florida’s best. The course yardage measures 6,845 from the longest tees and sports a 72.8 course rating and a 136 slope rating on Bermuda grass. 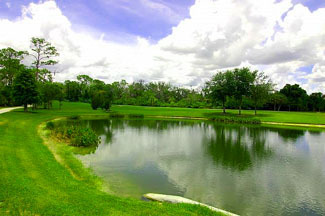 The fast greens and challenging holes over scenic water hazards are among the memorable features of the course. An equally famous golf course architect, Ron Garl, was responsible for the renovation of the Tara links. In the course renovation, the greens were completely revamped in conformance with USGA guidelines. The layout is a showcase for environment-friendly features such as a modern irrigation system and conservation areas that reduce water usage throughout its grounds. 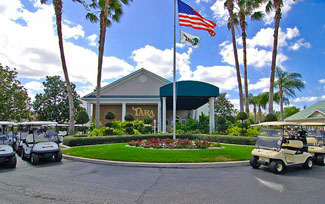 The Tara course is very golfer-friendly, the practice facilities like its putting greens and driving range are excellent, the club hosts regular league tourneys. Either a class A or class B club membership is bundled with a property in the Tara golf community. 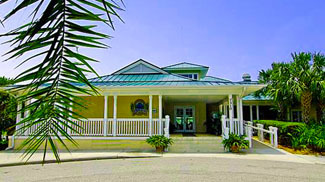 Full privileges of golf and clubhouse amenities are for class A members. Class B members are entitled to privileges at the clubhouse, pool, fitness center, and tennis courts, with golf access at guest rates based on course availability. Prospective buyers of Tara real estate can choose from single family homes and condo units. Options start from a sales-listed condo unit priced in the vicinity of $100,000 and with a floor area of 1,097 square feet. The price range can go up to the mid $200s price tag for a Tuscan, single-family residence having a floor plan of 1,500 square feet. Property owners and residents in the community include not only those from the US but also from overseas, principally drawn by Tara’s outstanding Florida location. The Golf & Country Club can be easily reached from the west via Interstate 75 and from the south via State Road 70. This Bradenton location enjoys proximity to the other attractions in nearby Sarasota, as well as those in Tampa and St. Petersburg and other destinations along the Gulf Coast. Any of the Tara golf club real estate offerings listed below are certainly quite reasonable, given the high quality of services, facilities, and amenities to be found within the golf and country club. It’s definitely a source of pride to belong to this well-maintained and well-managed community. Below are some of the current homes for sale available at the Tara Golf and Country Club. Below are the current real estate listings available for sale at the Tara Golf and Country Club as well as those at Tara Preserve.